Here’s what I found out this past week: faith doesn’t have to be perfect. You don’t even have to feel good while the Universe is working for you. You can feel bad. You can feel doubt, and even a little fear. You don’t have to know what’s going on. Most of the time we don’t anyway. This past week showed me that. On Monday morning, my house (which has been on the market for three years – for those who don’t regularly follow this blog) was inspected. On Monday afternoon, I got a copy of the inspector’s report. Things looked great. Except for two items. He suggested that I needed safety electrical receptacles in the kitchen and…OMG…there was mold on some of the joists under the house. I freaked. I had the house treated for mold 3 years ago. Guess what? It comes back. I’ve since learned that just about every house in my county has mold. We’ve been living in dampness and rain for as long as I can remember. Still. This freaks buyers out. That’s when I went into the tunnel. The buyer had five days to respond. She could ask me to make the repairs or walk out on the contract. That’s what happened after my last two inspections. I had extensive repairs to make, and I made them, but the buyers left me. And I still had that nagging fear in the back of my head. Would my house ever be acceptable to a buyer? Since I bought it fourteen years ago, I had almost rebuilt it. I just didn’t think I had anything left to put into it, physically or mentally. So, I did what I always do when confronted with fear. I went to my spiritual readings. I prayed. I meditated. And – this was the hard part – I refused to entertain any thought outside of going to Sedona, the place to which I am called, the place I have been trying to get to for more than three years. For four interminable days, I heard nothing. I was living in a silent limbo. The worst part was the silence. The longer it went on, the more I was tempted to think the worst. My friends had already started to be happy for me. What in the world would I say to them if the third buyer walked away? I was in and out of a low-grade panic, but I stuck to my guns, put it aside every time, and thought only of finding my perfect house in Sedona. Kept it all positive, scared but positive. I had believed for some time that I only had to know the what. The Universe would take care of the how. And so, when I was at my best, I was chanting the Universe will take care of the how. I didn’t start out wanting to embrace a spiritual life. I believed in my childhood God, but a Universe (or God, if you like) that was benevolent and loving in all things and in all times was something that I just didn’t think about. Until my world turned upside down. My son Eddie died, and I was thrust into a maelstrom of grief and despair. The people I know today who are on a spiritual path did not get there because they thought it was a good idea. They got there through the terrible doors of tragedy and trauma. There may be no free entry to this world of the spirit. But one needn’t worry. Life will eventually give everybody a mountain to climb. And at the foot of that mountain, we will climb toward the light or we will lie down and die. On Friday, day four of the silence, I got a phone call from the Arlington Metaphysical Chapel. A few days prior, I had called, hoping against hope that I could get a reading from Rev. Reed Brown, and was told he had no openings until September. If you’ve read my book, you’ll know who he is – very likely the most gifted psychic medium on the planet. The man who, after Eddie’s death, saved my life. I asked the chapel secretary to put me on the waiting list, in case somebody cancelled (which they never do). This might very well be the last time I would get to see him, and I really needed some encouragement from Spirit. On Friday morning, the secretary told me that somebody had cancelled and that I could see him on Tuesday. My flight out to Sedona to look for a place to live is on Wednesday. Later that day, my stepdaughter Laura drove (two hours!) down to see me and brought her five-year-old twins, Fiona and Ella. Even knowing I was going to see Rev. Brown, knowing I would get encouragement from Spirit and perhaps some good news, I was nearly at the end of my positive streak, ready to cry or give up hope of ever selling my house, or of answering the call to Sedona. But Laura brought new, sweet energy into my house and into the day which had threatened to turn dark. We made lunch and took the girls down to the river. On the beach, there were other children with shovels and pails, and an adorable dog. Laura and I sat in the shade of a tree and watched them play, full of life and joy. Large striped bass played further out in the river, their tail fins sparkling in the sun. The weather was perfect. A soft breeze cooled the air. I knew then that the Universe had sent love to get me through that last day. For the first time in four days, I didn’t check my messages every five minutes for news from the buyer. When it was time to go, I hugged the girls goodbye, and almost absent-mindedly checked my phone for a text. And there it was. It came as we were on the beach. The buyer has asked me if I will make the renovations suggested by the inspector. I will, and we are ready to move on to the next step: appraisal. It can’t be as nerve-wracking and dangerous as this part was, that’s for sure. We’re on the way home, so to speak. My faith is not perfect, but it doesn’t have to be. I waver and return to the center. I doubt and return to faith. I am afraid and return to peace. And that is how it works when you’re human. On the morning of August 4, 2009, I was awake early. I wasn’t sleeping much in those days anyway. My husband Bill was dying from pancreatic cancer. He hadn’t spoken for days. Sometimes I would look in his eyes and know that he wasn’t there. I was told later that his spirit guides were lifting him out of his body. When he was there, his eyes would look at me, brimming with love. On that morning in August, I woke with an urge to get out of the house. It was strong and unusual, because I hadn’t left Bill’s side for many days. The urge to leave was so strong, I could hardly wait to make my coffee. It was if I was being pushed. Before I left, I went to Bill’s room, leaned over him and said, “I’m going to walk down to the river, Billy. I’ll be back soon. And I’ll love you forever.” I don’t know why I said that last thing. I kissed him on the forehead and walked away quickly. It was a beautiful, clear day. I took a deep breath and looked up at the sky. I hadn’t seen it for a long time. My daughter Niki came with me. We walked down to the river and sat on a grassy ledge, our feet in the sand of the small beach. I sat there, sipping my coffee. The sun was bright; the river sparkled. Suddenly, a mother duck and four very small ducklings came out of the water, walked onto the small beach, and headed toward us. I had never seen anything like this before. Niki and I froze. She came right up to us and sat at our feet. Her ducklings burrowed down in the sand beside her. “Don’t move, Niki,” I whispered as softly as I could. “She’ll nip us if she feels the ducklings are in danger.” We sat there, barely breathing. After a few minutes, she got up again and headed back into the river, the ducklings following. She had set us free. “Well,” I said to Niki, “I guess it’s time to head back.” We walked back to the house, still wondering about the ducks’ behavior. When we entered the house Bill’s sons, Sean and Patrick, were waiting for us in the living room. One look at their faces and I knew. Bill was gone. Like my mother and father, Bill had slipped away when I wasn’t there. I went in to sit with him for a while and say goodbye. I took the wedding ring off his hand and put it on, next to mine. Some time later, I was told that his spirit guides had to get me out of the house so that he could leave. I’m remembering this now because a few days ago, as I was taking my daily walk, I heard a small sound coming from a deep ditch filled with water from the rain. I looked down, and saw a mother duck and three ducklings. She looked up at me, totally unafraid, opened her mouth and made another gentle sound, almost like a greeting. Her eyes were sweet and friendly. The ducklings played happily around her. Well, that’s strange, I thought. It was as if a small loop had been closed. That sort of thing has been happening to me lately. A friend I have known for over thirty-six years decided to drive down from Washington to visit and stay the night. We usually just meet for lunch once or twice a year. He said he did it because he felt that I was leaving. Mind you, I had not received the offer on my house yet. On Mother’s Day, as I was having brunch with my daughters Michaela and Niki and my granddaughter Elenni, I got news from my agent that I had received an offer on the house. The two younger girls had driven down from New York. The day was a gift. Another young man who was especially close to my husband left a Mother’s Day card in my door and came by to see me the next day. I hadn’t seen him for a while. A few days later, another friend invited me up to Washington for a celebration that included many old friends I hadn’t seen for years. For weeks it has felt as if my loved ones and friends are saying goodbye. Since I last wrote, my counter offer was accepted, and on Monday, there will be an inspection. Upon learning this, my first inclination was to panic. I’ve had two prior inspections. One resulted in extensive repairs (two new bathrooms), and the other, because of a small leak and a beam that had to be reinforced, frightened the buyer away. But this time it’s different. It isn’t something I can explain. It’s something I feel. I started packing weeks ago, a little here, a little there. It just felt like the right thing to do. This morning, I went out in the driving rain to buy more bubble wrap and boxes, and this afternoon I met with a mover, who answered all my questions – about selling a heavy futon I don’t want to take with me (his company does that), about getting my car out to Arizona (I figure five hours on a plane with a cat is better than five days in a car). He will hitch it to the moving van. He was great. Confident. He knows how to crate a very large, very precious painting of mine, having just moved an art show. Whadda know? I have made airline reservations to go to Sedona the first week in June to find a place to live. I fully expect, like Goldilocks, to find a place that is just right. After that, I will go to Los Angeles, as I had promised my daughter Debbie and granddaughter Celine I would long ago, and Debbie and I are going to drive up the coast to Monterrey. Here’s the thing: I am doing the what. I am letting the Universe do the how. I’ve always preached this message. Now I get to practice it. One more blog next Saturday night and the next one will be from Sedona. I’m still traveling in the headlights, but that’s all the road I need to see. 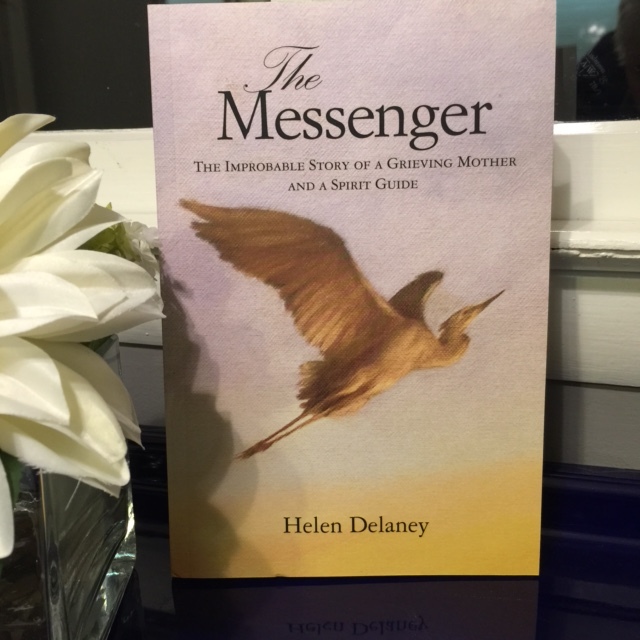 Read The Messenger: The Improbable Story of a Grieving Mother and a Spirit Guide by Helen Delaney. Find it at her new website, www.themessenger.space, or www.Amazon.com. I have been practicing living as if I were seeing only as far as my headlights (which is true anyway), and it’s been fine and interesting. Here where I live, it has rained off and on for about nineteen days straight. It’s been dreary and wet and foggy and for some lovely, heavenly reason, I haven’t been brought low by it as I usually am when the sky is nothing but cloud and I can’t see into the wild blue yonder. I’m okay. It feels like something has jelled, like something I’ve believed for a long time has matured into certainty. It was also nice to get a couple of confirming “messages” from the Universe (in the guise of masterful writers, of course). As a writer, I know the “sick sense of failure” Steinbeck talks about, the sinking feeling of knowing neither the beginning nor the ending of the story, while still knowing that one little well rounded paragraph, than another, will come into being. It happens. If it didn’t, I’d have never written anything. let alone a book. This “jelling” is strangely timely, because I got an offer on my house a couple of days ago. I’ve had two others that did not go to completion, and I was devastated both times. This time it’s different. I am detached from the outcome as I go into this third round, or as a friend of mine calls it, this Kabuki dance. My house has been on the market for three years. I won’t reiterate the agony of these three years; I’m as tired of my dreary story as my friends and readers are. At first, I wasn’t going to mention the offer to anybody, afraid that I might “jinx” it. As if I could. I’m no more in charge of the outcome than I am of the sun rising tomorrow. I made a counter offer. The buyer went on vacation. I’ll wager that no writer is one hundred percent sure how the story is going to turn out until the last word is typed. Yes, we have our schemes, our plots and our outlines, but when we surrender, really surrender to the writing process, the story is allowed to surprise us, delight us with twists and turns we did not foresee. Trusting the Universe is like that. It’s knowing on a deep level that everything is going to be all right. Oh, we have to do our part. We have to fill out the documents. We have to sit down in front of the computer. Then, we have to trust that where we will end up will be just where we are supposed to be. I don’t believe this. I know it. Read The Messenger: The Improbable Story of a Grieving Mother and a Spirit Guide by Helen Delaney. Find it at www.themessenger.space or www.Amazon.com. To the mothers who have lost children, my heart is with you today. I am one of you. I believe that upon the death of a child, our first instinct is to die immediately. It was mine. I think it is the natural response to the unthinkable, unnatural reversal of order. We want to put it right. Nothing I could find explained the unnatural error that the death of a child presupposes. There were no answers for me in psychiatry or religion. Not even the love of my daughters could ease the pain. But I was lucky to have them. I have two friends whose only children have died. At her daughter’s funeral, one of them asked me, “Am I still a mother?” “Oh, yes,” I said, “She is just…over there.” By that time, things had happened to me. A little book fell into my hand one day and reading it opened a door into the world of spirit. I began a long search and over the years, I found answers I couldn’t have dreamed of on my own, and they didn’t come in the way I expected. Nothing miraculous does. I came to understand that contrary to everything I believed, the Universe, or Whatever Life Force it is that takes care of us, was kind and loving. I learned that death is temporary and that life is all there is. I was presented with evidence that my child continued beyond the event called death and that I was loved beyond my understanding, as was he. 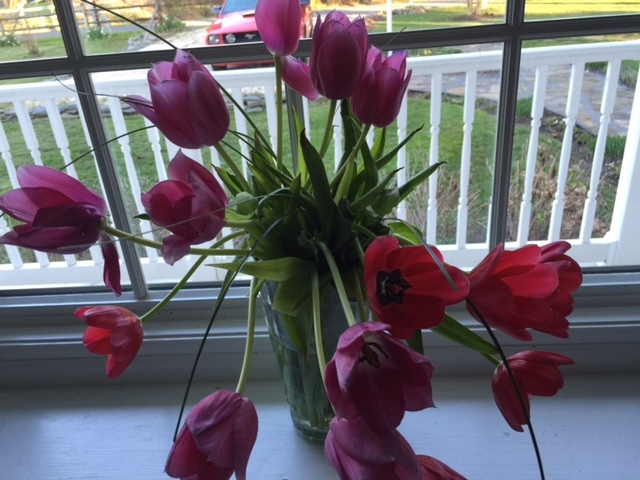 To the mothers who have lost children, I extend my unassailable belief that there is something waiting for you, some great Love that will give you strength and courage. It may come in the form of little signs, little evidences, that your child is beside you, loving you still, loving you more. And that will change you. There may be sudden insights that will teach you how to live and be happy. Trust your intuition. Pay no attention to the naysayers. What do they know? There are things in this world and in other worlds that they cannot dream of. And to the children whose mothers have entered into spirit, as mine has, and especially to Martha’s children, I send you the same message on this Mother’s Day, of hope, of a belief in life, and the certain knowledge that one day you will sense your mother near, if you haven’t already. When it happens, you will know it. It will feel like love, for it is love that continues after the thing called death. It will make itself known. Love speaks to us in small ways, in light touches, in gentle messages from our loved ones in spirit, because Nobody’s Gone for Good. I haven’t known Gini long. She came to me when her son died. Gini’s brother is a longtime friend of mine and he sent her my book, The Messenger. She read it and emailed me. She wanted to drive down to Maryland (Gini lives in Pennsylvania) to meet me. Gini’s son Andy had died about three months before. Raw and in fresh pain, Gini sat across from me at my kitchen table. We talked for almost four hours without stopping. Gini spent the night and drove home the next day. What we talked about wasn’t especially illuminating or comforting. We just talked about our children, Andy and Eddie. What an unwanted sisterhood is ours! We would give anything not to have this in common. I have other friends like Gini and me. They also have survived. For one long, hard day after another, we wake to find ourselves still here, still breathing, still putting one foot in front of the other. In spite of ourselves. Even when it is not what we want. It’s a long, hard climb, and some of us don’t make it. Ever so often I think of my aunt Brydie and her son Woody, who was injured in a horrible car accident. She sat by his hospital bed for two days as he hung onto life. When he died, she saw the family through the funeral, and a few days later she died. Her heart broke and then it stopped. She had been a healthy person, never sick. There are people who can’t understand that, perhaps, but Gini and I can. My friends Brigitte and Sybil can. Every species on earth is committed to the survival of the young. Birds, tigers, wolves, living things of the sea, air, and land are engaged in it as a primal, instinctive response to life. The death of a child is unnatural. Out of the order of things. Parents who suffer through this are not only consumed by unspeakable grief, they are also confused, disoriented, and guilty. If you’ve ever seen an animal in the presence of its dead young, you have seen that pain and confusion. This isn’t right, they are saying. Some howl. Some wail and cry. Others pace back and forth in sad bewilderment. Instinctive behavior can be defined as follows: A relatively complex response pattern which is usually present in one or both sexes of a given species. These responses have a genetic basis, are essentially unlearned, and are generally adaptive. The instinct to preserve the child is in our genes. We are hard wired for the survival of our young, and those of us who survive the death of the young know the failure of that one, primal duty. We have borne the child in our body and have dedicated ourselves unwaveringly to its survival and to its thriving. And in that process, we come to know love like no other love. It is the love that is greater than ourselves, the love that would gladly place us in the path of death so that the child might live. The grief that comes from that loss is what we have left – that and the sad, awful bewilderment of Nature gone horribly wrong. I believe we must turn to something greater, something infinitely wiser than ourselves, if we are to withstand this earthly pain. I believe now that there is no wrong in Nature, and that the soul chooses its coming and its going. We cannot alter that timing, even for our child, for it is his and his alone. I have also come to understand that death is not what it seems to be. Like the trees and flowers that sleep in the winter and come to life in the spring, so do our children sleep and come to life in the place of Spirit, as shall we. 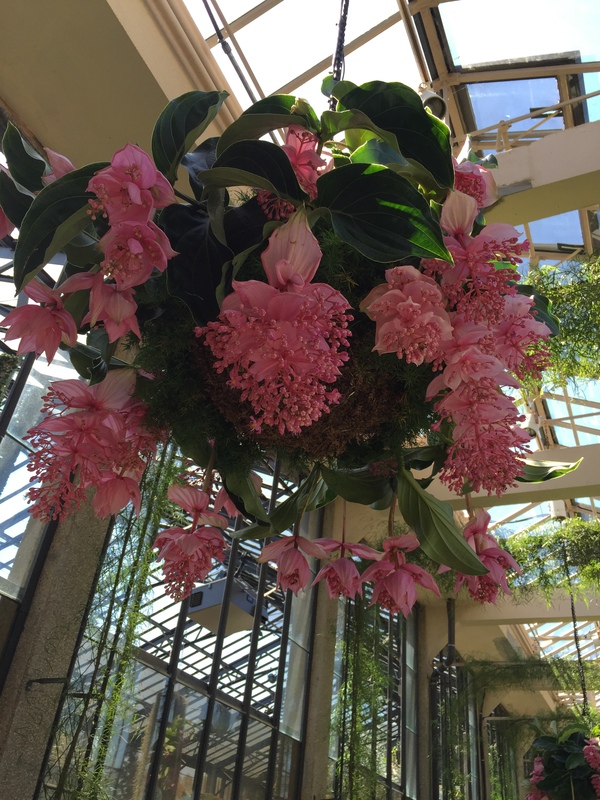 Gini invited me to come to Pennsylvania to visit Longwood Gardens with her, and last weekend, I went. 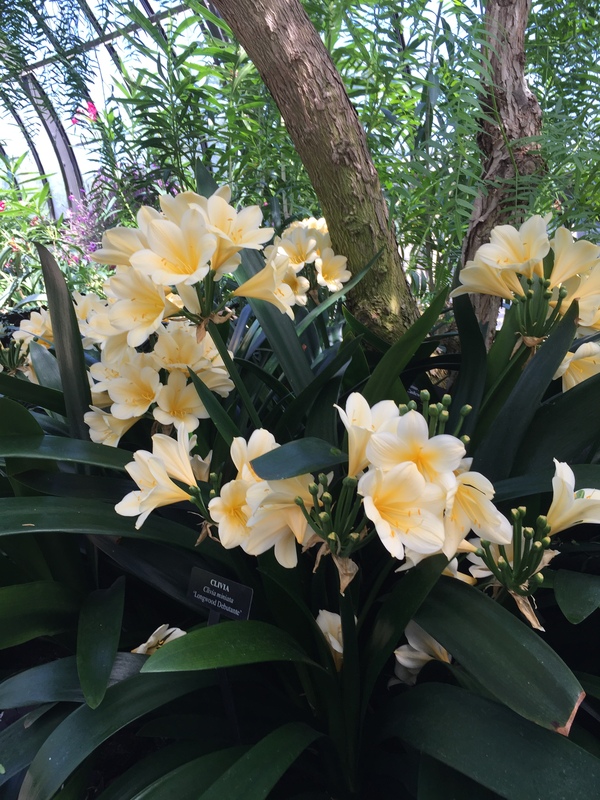 There in all its springtime glory, was life surrounding us, life and beauty and the irrefutable evidence that death is not concrete, nor is it solid or permanent. There was peace there, where life was beginning again. And Eddie and Andy were there with us.